I offer You, too, all the merits of the saints (in heaven and on earth), their acts of Love, and those of the holy angels. Finally, I offer You, O Blessed Trinity! the Love and merits of the Blessed Virgin, my Dear Mother. It is to her I abandon my offering, begging her to present it to You. Her Divine Son, my Beloved Spouse, told us in the says of His mortal life: “Whatsoever you ask the Father in my name he will give it to you!” I am certain, then, that You will grant my desires; I know, O my God! that the more You want to give, the more You make us desire. I feel in my heart immense desires and it is with confidence I ask You to come and take possession of my soul. Ah! I cannot receive Holy Communion as often as I desire, but, Lord, are You not all-powerful? Remain in me as in a tabernacle and never separate Yourself from Your little victim. I thank You, O my God! for all the graces You have granted me, especially the grace of making me pass through the crucible of suffering. It is with joy I shall contemplate You on the Last Day carrying the sceptre of Your Cross. Since You deigned to give me a share in this very precious Cross, I hope in heaven to resemble You and to see shining in my glorified body the sacred stigmata of Your Passion. After earth’s Exile, I hope to go and enjoy You in the Fatherland, but I do not want to lay up merits for heaven. 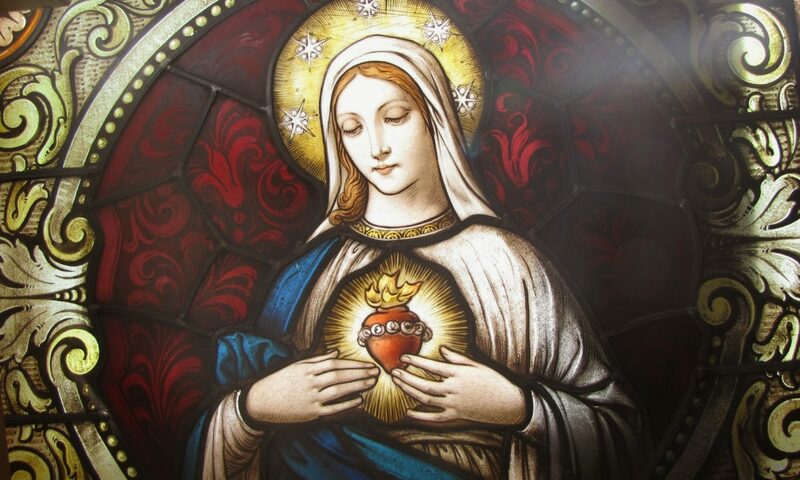 I want to work for Your Love Alone with the one purpose of pleasing You, consoling Your Sacred Heart, and saving souls who will love You eternally. and the Holy Face, unworthy Carmelite religious. Source: Story of A Soul, translated by Fr. John Clarke, O.C.D. Copyright (c) 1976 by Washington Province of Discalced Carmelites, ICS Publications, 2131 Lincoln Road, N.E., Washington, DC 20002 U.S.A., pp. 276-278. St. Thérèse of Lisieux has always been one of my “favorite” saints. Her simple manner and approach to the faith was always inspiring. I found some of these quotes online and thought they would be welcomed. I feel that when I am charitable it is Jesus alone who acts in me; the more I am united to Him the more do I love all my Sisters. If, when I desire to increase this love in my heart, the demon tries to set before my eyes the faults of one or other of the Sisters, I hasten to call to mind her virtues, her good desires; I say to myself that if I had seen her fall once, she may well have gained many victories which she conceals through humility; and that even what appears to me a fault may in truth be an act of virtue by reason of the intention. True Charity consists in bearing with all the defects of our neighbor, in not being surprised at his failings, and in being edified by his least virtues; Charity must not remain shut up in the depths of the heart, for no man lighteth a candle and putteth it under a bushel, but upon a candlestick, that it may shine to all that are in the house. (Cf. Matthew 5:15). It seems to me that this candle represents the Charity which ought to enlighten and make joyful, not only those who are dearest to me, but all who are in the house. Life is passing, Eternity draws nigh: soon shall we live the very life of God. After having drunk deep at the fount of bitterness, our thirst will be quenched at the very source of all sweetness. Yes, the figure of this world passeth away (1 Cor. 7:31), soon shall we see new heavens; a more radiant sun will brighten with its splendors ethereal seas and infinite horizons… We shall no longer be prisoners in a land of exile, all will be at an end and with our Heavenly Spouse we shall sail o’er boundless waters; now our harps are hung upon the willows that border the rivers of Babylon (Cf. Ps. 136:2), but in the day of our deliverance what harmonies will then be heard! With what joy shall we not make every chord of our instruments to vibrate! Today, we weep remembering Sion,… how shall we sing the songs of the Lord in a strange land? (Cf. Ps. 136:1,4). Charity gave me the key to my vocation. I understood that the Church being a body composed of different members, the most essential, the most noble of all the organs would not be wanting to her; I understood that the Church has a heart and that this heart is burning with love; that it is love alone which makes the members work, that if love were to die away apostles would no longer preach the Gospel, martyrs would refuse to shed their blood. I understood that love comprises all vocations, that love is everything, that it embraces all times and all places because it is eternal!